That title sounds grim and does not refer to slaughter or any other sort of death. It just refers to what I actually did for my costume. Execution, as opposed to ideation. 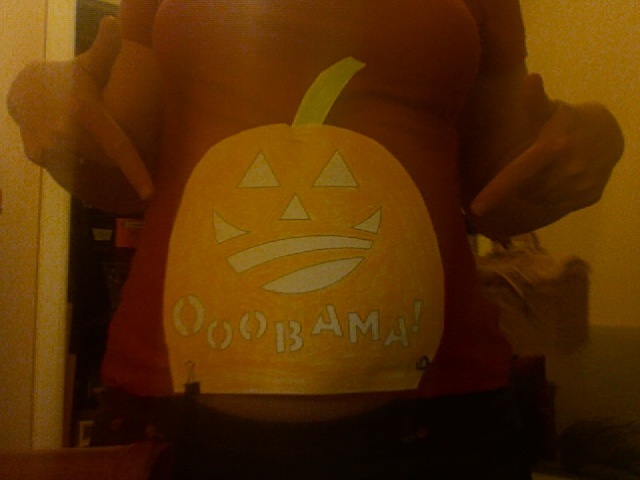 To refresh, the idea was to dress my pregnant belly up like a Barack O’Lantern. 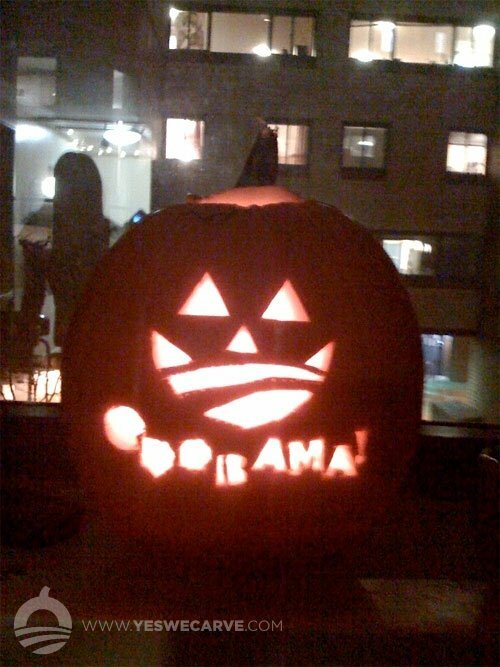 This is a great one, of course, well executed with an actual pumpkin by a person with time, drive, and skill. It has the soft glow of white light casting through the orange. For my costume, I just colored in one of the Yes We Carve stencils, realized I didn’t have any safety pins, then took a nap. Matthew came home and helped me attach it to my shirt. Too late in my project — which mostly involved coloring, which I remembered that I don’t particularly enjoy — did I realize that the friends we were meeting for dinner are actually professional artists, and that clipping a poorly colored piece of paper to my shirt might just confuse them, but it was too late! i had no idea, even after all these years, you liked halloween so much? Did i know that and forget? 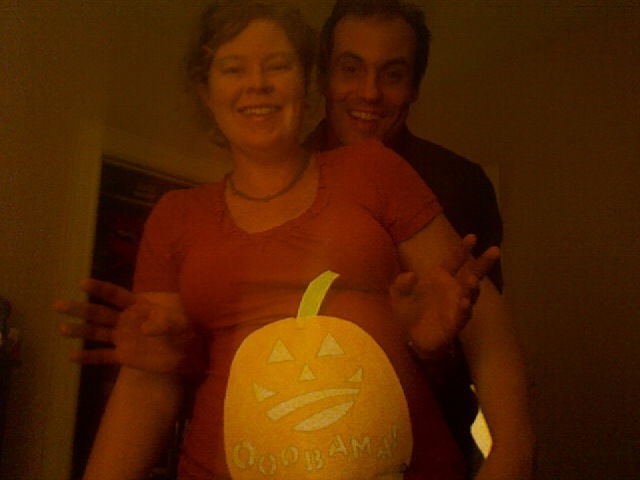 Hmmmm… anyway, love the belly costume!